11170 Mays Canyon Road Forestville, CA. 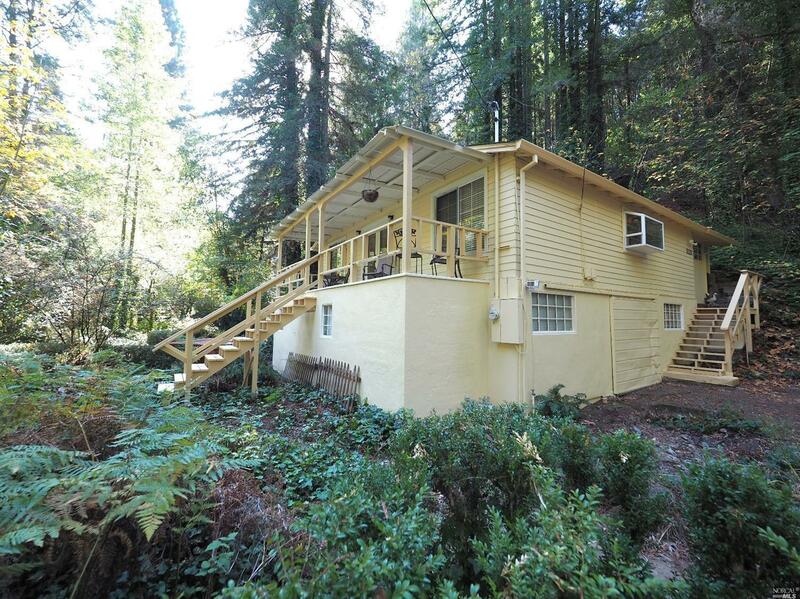 | MLS# 21725737 | Russian River Real Estate | Russian River Realty Co.
1.56 Acre! level, secluded creekside lot with plenty of room for gardening, loads of parking, etc. home has been lovingly updated with high quality materials such as granite and marble. Living room features brick fireplace to cozy up to on cold winter evenings. Charming, covered front porch invites you to come sit and sip your favorite beverage. Large country kitchen with formal dining area. Skylights make it bright & shiny. Full basment/storage. Energy Conservation: Ceiling Insulation, Low-Flow Toilet, Partial Insulation, Wall Insulation, Weather Strip.